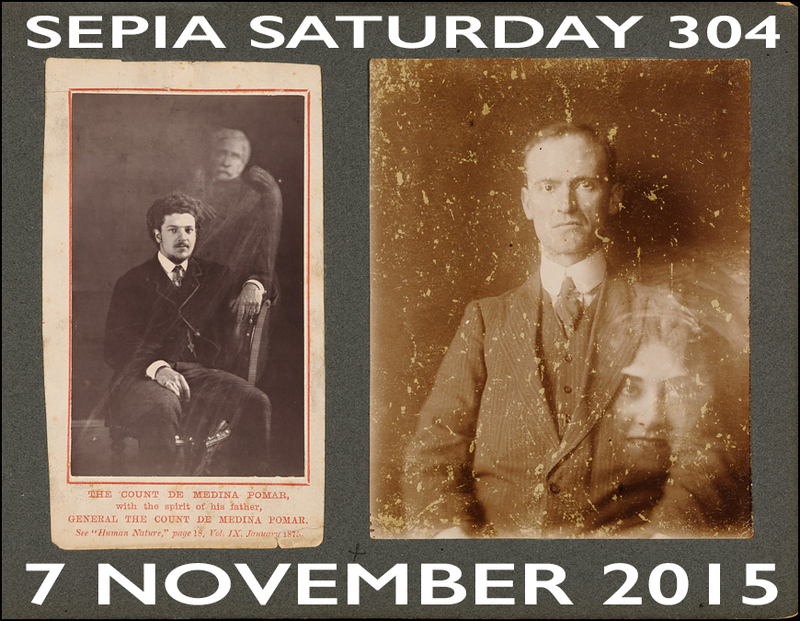 Looking forward to what I see this week in SepiaSaturday!! I'm looking to forward to seeing who's the fairest of them all this week - well, not really, after all it's not a competition! No fair maidens, mirrors on the wall or Halloween for me. That leaves, not just that unprepossessing man, but his hat - my theme for this week. 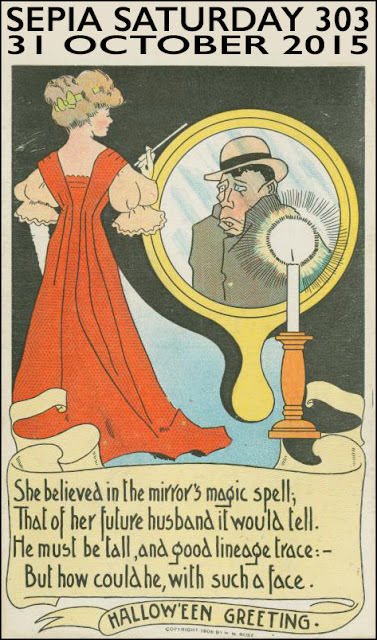 No mirrors, but the fair maiden is looking into a little face. A couple of mirrors and reflective poem. Halloween's always a great theme. I have a Halloween postcard about this same custom. Two black cats this week...and I can't wait to see what other Sepians come up with! Thanks for the inspiration. Wishing everyone a Happy Hallowe'en! 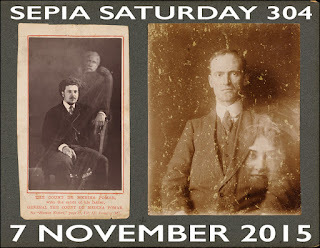 My post, 'Tales of Harbingers & Ghostly Visits' will appear on Saturday. Cheers! I didn't think I had anything and then remembered an odd postcard that I think fits very neatly. Musical of course. Happy Halloween everyone, but my post's about the cartoonist in the family. Thanks. My participation has been spotty at best, but I am here for the tricks and treats! Just a small collection of Halloween snaps.